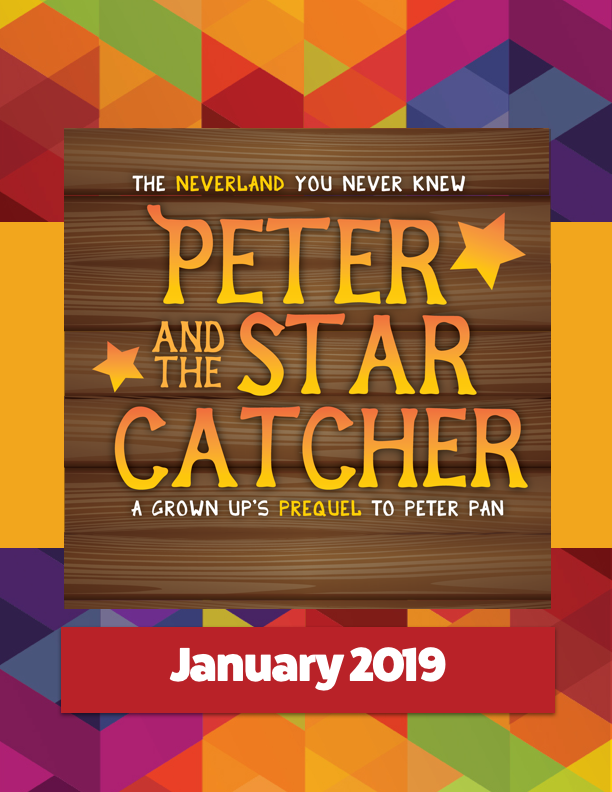 Peter and the Starcatcher is a prequel that explains how Peter Pan and his friends (and enemies) came to be. Set in 1885, it begins on a British dock where two ships – The Wasp and The Neverland – are being loaded for a trip. A hurricane strikes and the two ships crash into each other sending boys, sailors, pirates, passengers and mysterious trunks overboard. Our adventurers are shipwrecked on Mollusk Island with a group of food obsessed natives. Will the boys find a home? Will the hungry crocodile get his dinner? Will the nanny’s romance with the sailor blossom? Will Ted figure out how to eat a pineapple? Will the Black Stache find a hero?